We took a little road trip. Which was a) amazing b) gave me time to read (when I wasn’t driving) and c) left me with a mountain of laundry and great memories and a good three pounds to boot. WONDER made me tear up, cheer, and then cry a pool of happy tears at its end. Without a doubt, Auggie’s story should mark the top of every fifth grade reading list. If you need an eye-opening, heartfelt read that will leave your kids talking, look no further. There is much to discuss about this courageous protagonist and he how engages his world. CHOOSE KIND is an anti-bullying campaign begun by Random House Children’s division and is inspired by WONDER. 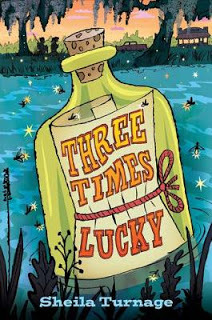 Possibly my favorite middle grade read since 2010’s Newbery Medal Winner When You Reach Me. Meet rising sixth-grader Moses LoBeau, a plucky Southern girl reminiscent of Comfort Snowberger in Deborah Wiles’s award-winning Each Little Bird That Sings. Mo’s voice stole my heart and tickled my funny bone. From her poignant search for her Upstream Mother to her humorous crushing on the boy “she would one day marry”, Mo shows courage, loyalty, and quick wit. Which she and her BFF, Dale Earnhardt Johnson III, will need to solve the mystery of their lives. It’s rare that I finish a book and start back at page one. Let’s just say I wasn’t ready to leave the endearing lunch crowd of Tupelo Landing. 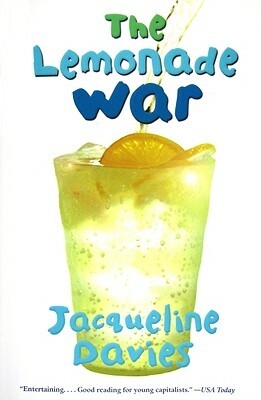 and THE LEMONADE WAR by Jacqueline Davies, the first in the series, although the third book just released. Evan Treski and his younger sister Jessie get along fairly well. He’s good at understanding people. She’s a math whiz. But when Jessie skips a grade, Evan learns not only will his kid sister be in his grade, she’ll be in his class. And he doesn’t like that one bit. At odds, Evan and Jessie begin a competition to see who can make the most money by summer’s end. Highly entertaining, this book is filled with real-life problems that relate to math, getting along with siblings and friends, as well as determining right from wrong. Additionally, each chapter heading boasts a marketing term and definition that is further explored in the story. The Lemonade War is a perfect pick for a reluctant reader. My nine-year-old gives it two thumbs up. Next up, THE ONE AND ONLY IVAN.